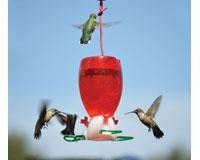 Big Red Hummingbird Feeder. The little feeder with big attracting power. 3 port, 3 perch nectar feeder. Comes complete with sugar, just add water. Long-lasting, reusable and easy to clean. 10 oz capacity. Just add water! Western Delight Value Mix Wild Bird Seed, 20 lbs. 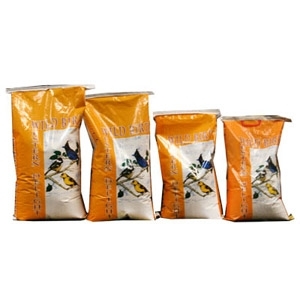 White Proso Millet, Wheat and Small Yellow Corn.